It shouldn’t come as a surprise to anyone with an interest in print that packaging is experiencing a golden age. Rising at a steady 2.9% year-on-year, Smithers Pira forecasts the global market will be worth $980 billion by 2022[i]. If you drill down further, growth of the flexible packaging sector is even more pronounced; with a predicted annual growth rate of 4.3%, by 2022 it should claim a healthy $283 billion share of the near trillion-dollar market[ii]. As marketers look for new ways to grab attention and consumers demand more choice, there’s a growing sku count and huge variety in the shape, size and design of products. This doesn’t just apply to food packaging, but other significant sectors in flexible packaging including beverages, cosmetics and toiletries, pharmaceuticals and medical, pet food, tobacco and other non-food products see the same trend.Smaller print volumes are increasingly sought after as each product comes in more varieties, design changes are made frequently, and brands want to reduce warehousing requirements. As the trend continues, printers should consider offset as an alternative to the flexo and gravure industry standards. 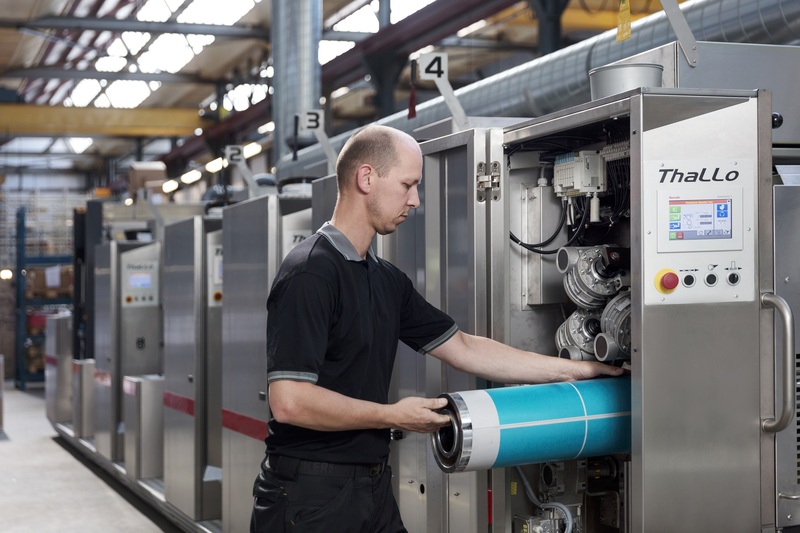 Offset provides the exceptional quality demanded by brands that digital cannot yet reach, without incurring the expensive set-up costs associated with flexo and rotogravure. Short run-lengths become practical and economical, but longer run lengths are not discounted either.